Eva loved doing this Glam Goo Deluxe Slime Pack review with me this week! 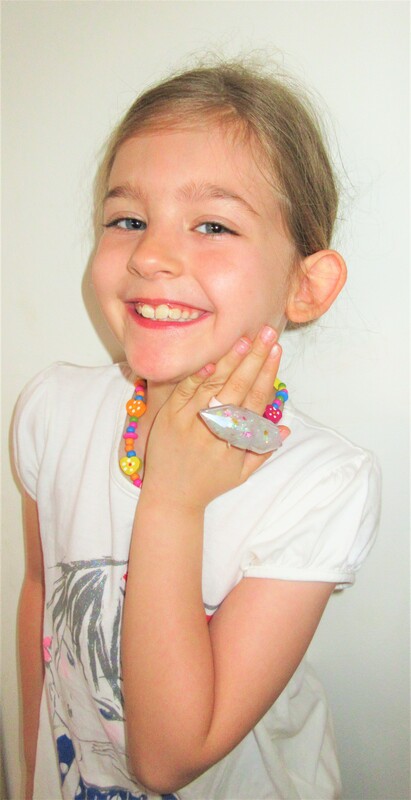 An ever-growing fan of Glam Goo, Eva couldn’t wait to get her hands on this fab pack with Glitter Purse & Double Ring! She loved the Confetti Pack & the Fantasy pack, so no surprise she was so excited with Glam Goo Deluxe Slime Pack too. Each Glam Goo pack comes with fab accessories to fill with slime along with sparkles & colours to mix up your slime & make it fashionable! 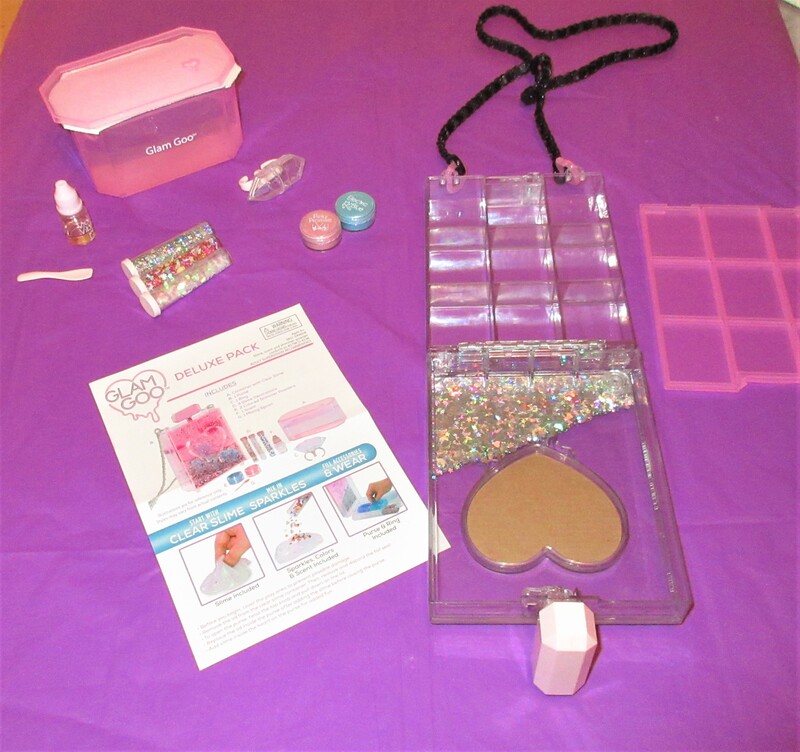 The Glam Goo Deluxe Slime Pack comes with a Glitter Purse storage case for your Glam Goo slime creations. The Purse is lockable by turning the pink handle on top and has 9 sections to fill with your Glam Goo. The purse also comes with a pink lid to cover the storage section keeping your slime fresh. 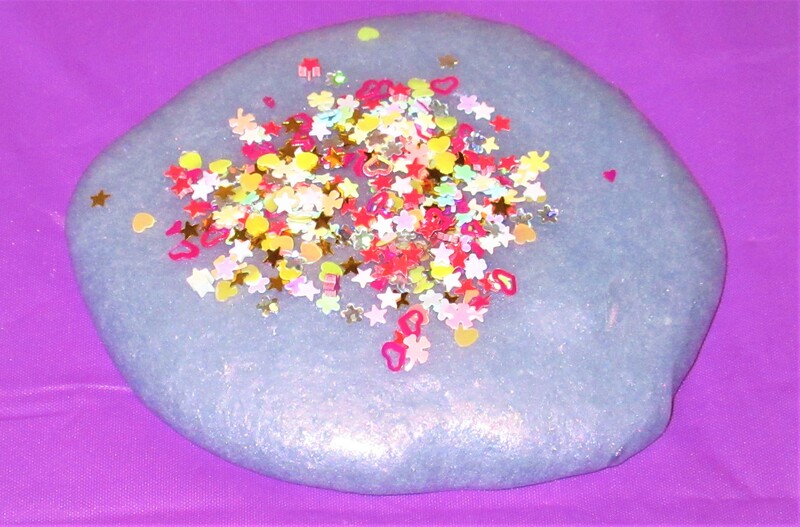 The pack contains a large pot of Glam Goo which is enough to make several different creations. This deluxe pack comes with Cloud Crunch, Daydreams & Unicorn Tears sparkles. It also comes with Electric Blue & Pinky Promise sparkle colours, Violent Vibes scent & a mixing spoon. Glam Goo starts off rather sticky but the more you work it the easier it gets & turns from clear to white. 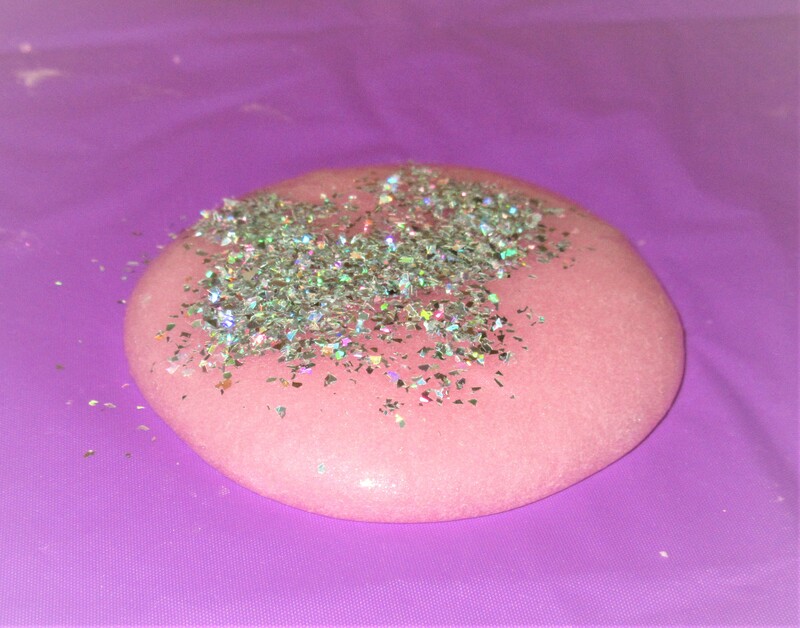 We divided the large pot of Glam Goo into several portions and following the instruction included created 4 different Glam Goo looks. First of all, we started with Cotton Candy Crunch. This Consists of Pinky Promise, Daydreams & Cloud Crunch. This mixture turns into a pink sparkly creation! Next, we tried out Purple Rain which consists of Pinky Promise, Electric Blue, Violet Vibes & Unicorn Tears! This is definitely my favourite creation with this pack haha! I caught this picture below & love how you can see the individual colours mixing to slowly create a purple colour. Eva loved how Purple Rain turned out too and enjoyed the violet Vibes scent. Adding scent makes your Glam Goo a little sticky but as with when you start! Working the slime for a few minutes returns it back to a stretchy slimy consistency. Halo It’s Me was next on the list so Eva set to work mixing Daydreams, Unicorn Tears & Cloud Crunch into the clear slime. Eva loved this sparkly creation and is one of her favourites. 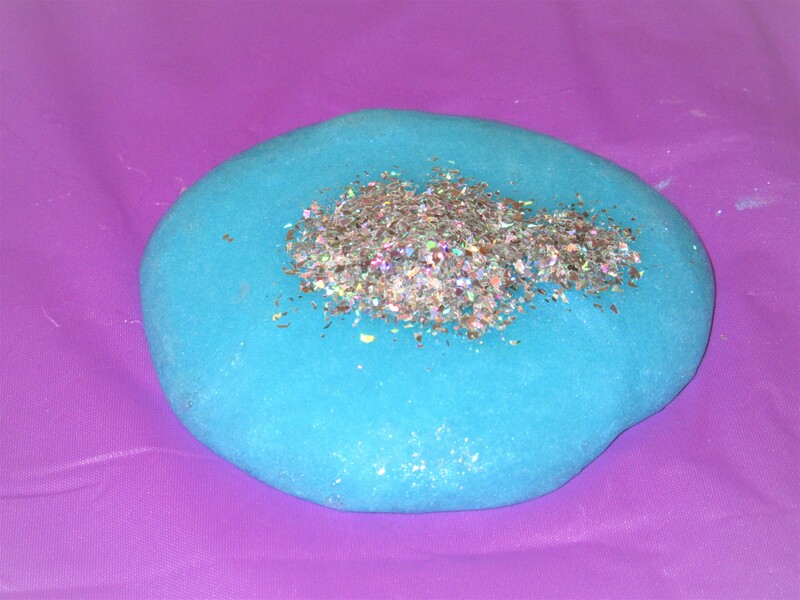 She really enjoyed helping take photo’s for this Glam Goo Deluxe Slime Pack Review too and took this fab one below. 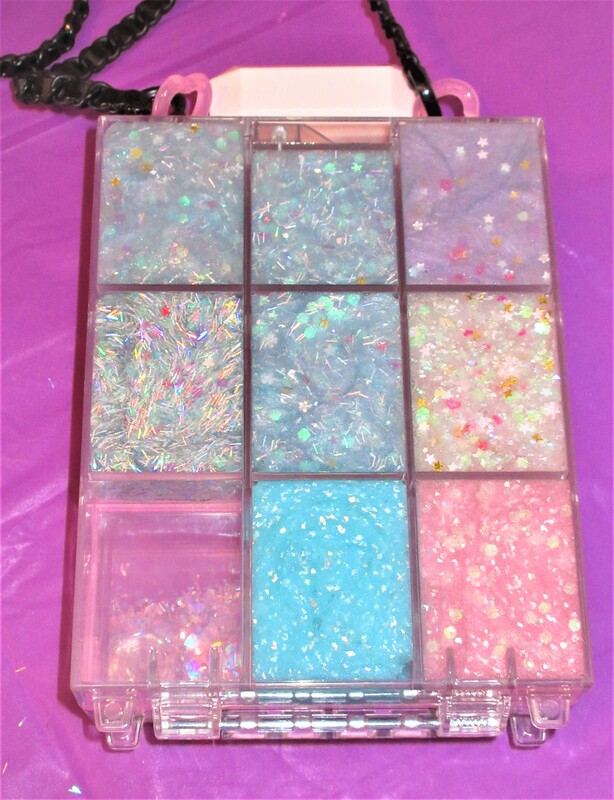 She liked this mix so much with all the different coloured sparkles. Eva decided to fill up the double ring some Halo it’s me and of course, couldn’t wait to pose for a photo. Being able to fill up fun fashion accessories like this make Glam Goo that little bit more fun! You can see Eva genuinely enjoys these fun slime packs in photo’s too. Once she finally stopped posing, Eva got back to creating Shimmer Lake which consists of Electric Blue, Daydreams & Violet Vibes. I love the Electric Blue, it is such a lovely, vibrant shade! Eva really enjoyed creating so many different versions of the Glam Goo slime & loved filling up the Double ring & Storage Purse. This fab pack kept her entertained for almost 2 hours straight. This is the perfect gift for any slime/goo fan out there! We also mixed up our own creations at the end using leftover ingredients from this kit, the Confetti Pack & Fantasy pack, eventually filling the purse! 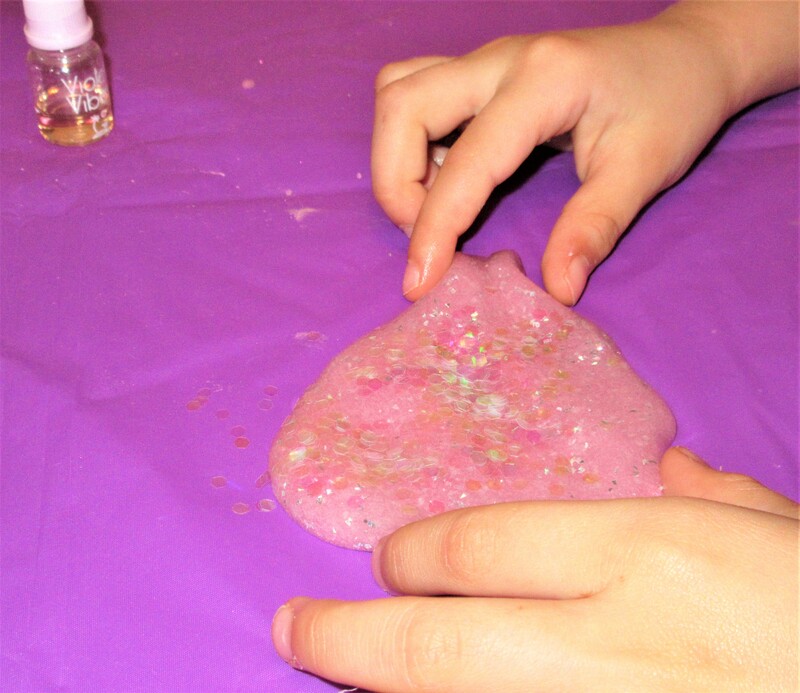 Having tried out 3 different packs we love Glam Goo products, they are so much fun! 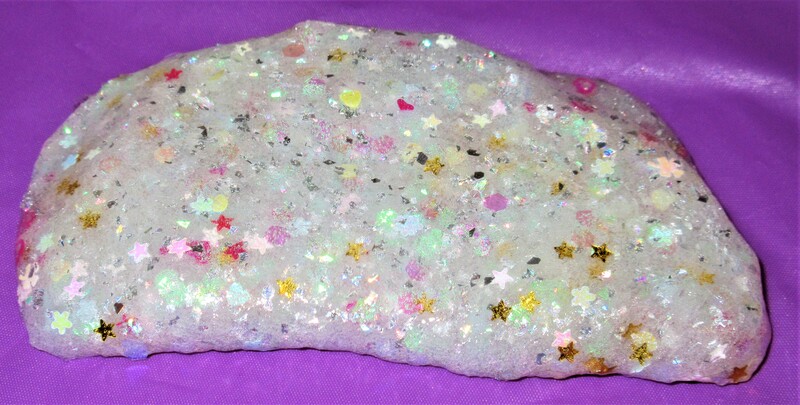 Do your children love Glam Goo too? 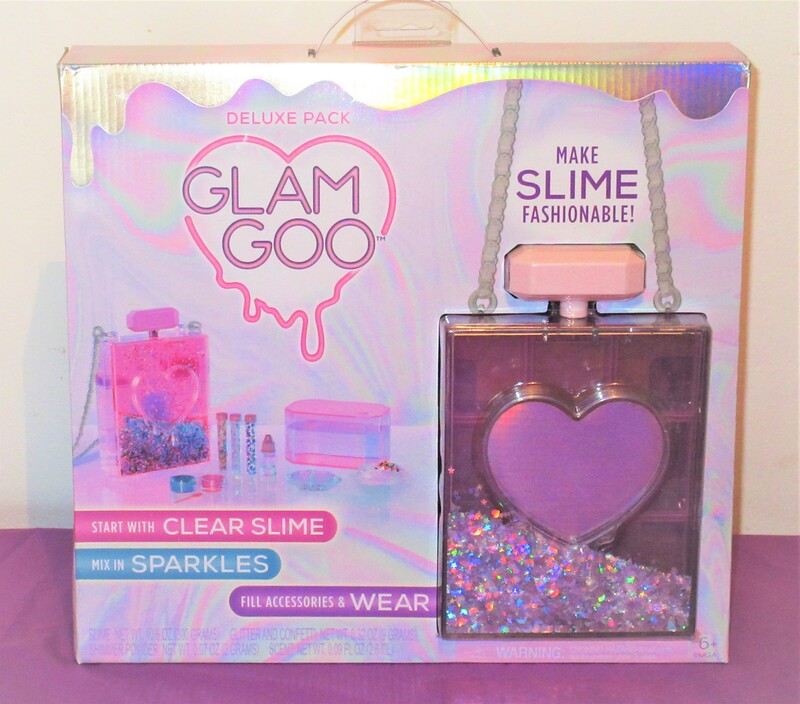 Have you seen the Glam Goo Deluxe Pack before?